-we are only considering companies whose core business is commercial heat treating. As an example, our understanding is that Commercial Steel Treating in Madison Heights, Michigan and their associated companies such as Curtis Metal Treating have sales in the area of $100 million USD per year. However, most of their sales are finishing as opposed to heat treating and for that reason we have excluded them. -as a publicly traded company we have no issue sharing Bodycote’s sales figures, however we have refrained with all the others on this list. -while we started off with a “Top 10” list it grew to a “Top 12” list as you can see. The reason being that some of these companies are so close in size that it is difficult to include one and exclude another. 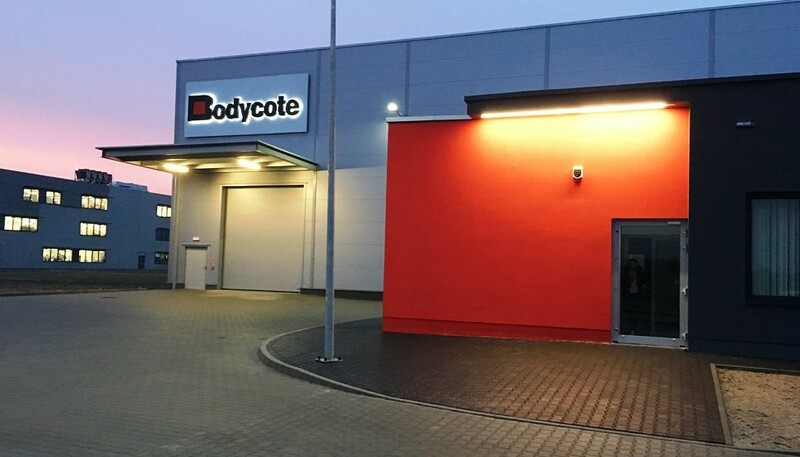 Bodycote https://www.bodycote.com/ It is absolutely no surprise that UK based Bodycote dwarfs all others in North America, as a matter of fact they dominate in almost every single area of the world. Total North American sales in 2017 were $325 million USD (excluding Mexico). The US and Canada account for 34% of the group’s total sales. Paulo https://www.paulo.com/ We feel quite comfortable putting family owned commercial heat treater Paulo in second spot based upon their 5 facilities in the USA. Note that this does not included their recently launched Mexican facility. Woodworth Heat Treating http://www.woodworthheattreating.com/ Woodworth is another family owned company which has been tremendously successful over the years. The company has a total of 3 plants in Michigan and one in Puebla, Mexico all concentrating on the automotive sector. Bluewater Thermal Solutions https://bluewaterthermal.com/ Owned by Alterian Investment Partners Bluewater is an impressive organization which has facilities in the US and Canada working with a multitude of industries. Solar Atmospheres https://solaratm.com/ One of the most high-profile heat treaters on our list is Solar Atmospheres which has become a giant in the industry by focusing on one type of heat treating-vacuum. The company has 4 locations around the US all absolutely state of the art. We can’t say enough good things about the company. Braddock Metallurgical http://braddockmt.com/ Braddock is now a third generation, family owned company which dominates in the US Southeast. The company has 8 plants including Puerto Rico. You name the process and Braddock can probably offer it. FPM Heat Treating http://fpmht.com/ With several plants in the Mid-West FPM Heat Treating is the largest infomercial heat treater in the area. ALD Thermal Treatment https://www.ald-vt.com/portfolio/service/heat-treatment-services/ Based in Germany ALD Thermal Treatment has a facility in Port Huron, Michigan and Mexico. The company’s focus is on vacuum carburizing of automotive transmission components and they have excelled at it. Advanced Heat Treat Corp. https://www.ahtcorp.com/ We have a real fondness for Advanced Heat Treat Corp., based in Waterloo, Iowa. The company was founded by Gary Sharp a number of years ago based upon his vision of Plasma (Ion) Nitriding. Since that time the company has grown to include most processes, but Gary is still the man most responsible for making Plasma nitriding a mainstream process in North America. Nitrex http://www.nitrex.com/heat-treating-services/ If Advanced Heat Treat Corp. (in the #10 position) was built on Plasma Nitriding, Nitrex was built on gas nitriding. No other company in the world has done more to develop and promote this very impressive technology. Rex https://www.rexht.com/ In the Eastern USA family owned Rex heat treat has been a major player for as long as we can remember. While we say the eastern US the company also has a large operation in Alabama.